Because of the number and variety of illnesses that can affect the pediatric respiratory system, being able to interpret thoracic images of children is important for the general radiologist. 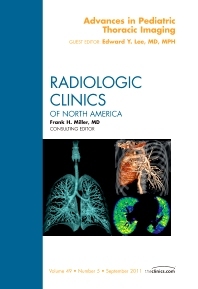 This issue of Radiologic Clinics starts off with an overview of lung and pleural infections. Reviews of small and large airway diseases are followed by separate articles on the uses of ultrasound, MR, and nuclear medicine to image pediatric patients. Also included are articles on lung and vascular anomalies, thoracic trauma, and cardiac disease. The issue is completed with articles on fetal lung imaging and radiation safety.